NBN News | CRUISE TERMINAL STALLED...WHAT'S THE HOLD UP? Home Newcastle News CRUISE TERMINAL STALLED…WHAT’S THE HOLD UP? 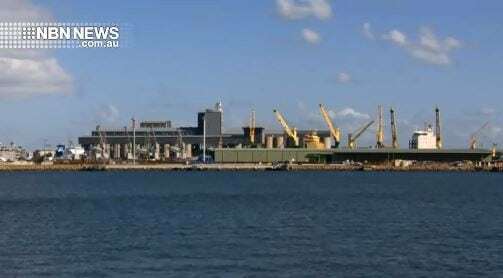 The state government is urging the Port of Newcastle to get on with the job, and start building the city’s long-awaited cruise ship terminal. The project has stalled, with the port citing spiralling costs… it’s asking the government for more money. The Cruise Terminal is a project being run by Port of Newcastle for the region and our community. Port of Newcastle is supplying the land, the services and the berth and is running the project for the benefit of our region’s tourism industry. If judged on a financial basis, even after the Government’s funding, this would still not be an economically viable project for Port of Newcastle. This is a project for the benefit of the Hunter region’s community. For Port of Newcastle, it is not a commercially motivated project; it is a project that will benefit our community and help keep our State’s tourism industry competitive. Cruise shipping’s contribution has been estimated at around $11-million per annum back into the region in direct and flow benefits. That roughly equates to around $1-million per vessel visit on average. The cruise terminal will allow us to grow that benefit for the region going forward. In terms of the port’s shipping, cruise shipping is small, but we realise its economic contribution and value to the region and it is part of our diversification strategy. We will deliver a cruise terminal – however, if additional funding is not available, we will not be able to deliver some of the iconic features such as the curved roof. The additional funding being sought from the NSW Government is less than $4-million. We are working in partnership with the Government on this project and the Port’s contribution includes the land, services and project management. Quote from 34 seconds into this video:”If judged on a financial basis, even after the Government’s funding, this would still be an economically viable project for Port of Newcastle” But the commentary said it would still not be an economically viable project. The whole clip was confusing as to what is going on.